Fees charged to landlords for participating in a Philadelphia subsidized housing program may have gone to lobbying efforts and other fraudulent expenditures, according to allegations in a federal lawsuit filed last week. The housing authority required landlords to pay for a day-long training course aimed at better understanding property maintenance issues. However, allegations have been raised that the money went to an affiliated lobbying agency which benefited the PHA or may have been used for political purposes. The former director of that agency was fired over allegations he concealed previous charges of sexual harassment. The landlords claim the money was used for the “personal enrichment” of the members of the agency. As many as 4,000 landlords are believed to have paid the fees. A PHA spokesperson denied that any PHA employees gained from the diversion of funds to the affiliate. The classes were provided as promised by reputable teachers. Several executives of the PHA are named individually in the suit. 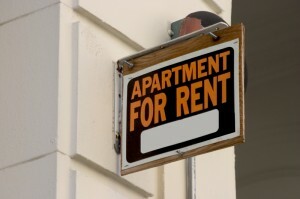 Landlords involved in the suit have complained that the housing authority threatened to suspend their approval to accept Section 8 vouchers if they did not pay the fee to attend the training course.